I absolutely adore the His Fair Assassin series by Robin LaFevers. Each book took me away to a different time and place, and craved to meet and be reunited with the many different characters found within their pages. 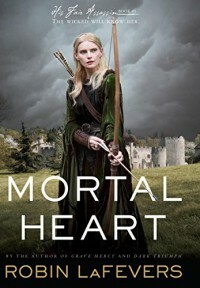 But there was something about Mortal Heart, the last book in this series, that didn’t have me relishing each and every page and moment. That reason being the main character, Annith. Don’t get me wrong, as I progressed through the book, she slowly but surely captured my heart and attention, as did the other characters, but I will admit that it took a lot longer than I had hoped. The main reason being she annoyed me so much. I found her to be so annoying, so hard headed, so arrogant… But in the end, it was these flaws, as well as the ones that she has always carried with her since her childhood, that made me like her. That probably doesn’t make sense, but go with it. As with all the strong female leads in these books, they each have their own dark secrets and stories that come to light. And the story of Annith is right up there with them. The difference? The unbelievable twists and turns that stem from her childhood to present day. 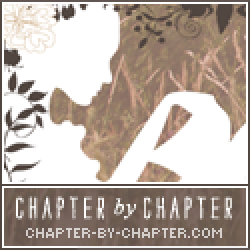 The various twists that author Robin LaFevers puts in Mortal Heart left my head (and heart) spinning. Once I thought that there was no possible way that she can add anything else that will make me gasp, she does it again! And again, and again, and again…and I loved every minute of it. I feel like I can’t really say too, too much as it will definitely give so much away, but the connection between Annith and Balthazar definitely has something to do with Mortain, the god of Death. Annith has trained all her life to be an assassin, and wants nothing more than to serve her god, Mortain, as one of his handmaidens of Death. But for reasons unbeknownst to her (until later), the Abbess keeps passing her up. The final straw is when the Abbess allows Matelaine, one of Annith’s sisters to go on her first mission…even though she is not fully trained, and has not passed all her tests, and is still pretty much a child! When the Abbess leaves the convent to go see the Duchess, Annith takes this opportunity to try and find out the reason why the Abbess is not letting her fulfil her destiny! Not only is she not being allowed to act as one of Death’s handmaidens, but the Abbess has informed her that her destiny is to be the next Seer! Ummm..hell to the no says Annith. And so she decides to travel afar (on her own) to find the Abbess and confront her with the answers to her many questions. What’s that saying though? Be careful what you wish for? During Annith’s travels, she happens upon a gang of hellequin who are on the hunt for souls, and the leader, Balthazar, seems to have taken a special interest in dear Annith. Can we say slight stalkerish? Not that I’m complaining because dang(!) Balthazar is foine. Both Annith and Balthazar have secrets that they are keeping from each other. Whether these secrets will bring them closer, or drive them apart is something you’ll have find out on your own. Apart from the fact that Annith really did annoy the bejesus out of me, I still came to adore this final installment in this series. Fans of strong female leads, unforgettable male interests, and a storyline that will keep your interests piqued right to the very end will really enjoy Mortal Heart along with the other books in the His Fair Assassin series. The writing is fantastic, the world so real that one could seriously get lost in it, and the characters are ones that you won’t be forgetting anytime soon. Do yourself a favor and check out these books! I highly doubt that you will regret it.